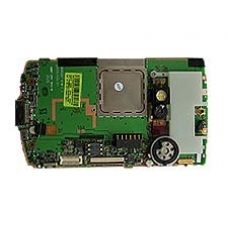 This is a replacement HP iPAQ hw6510 main board with integrated quad band GSM/GPRS/EDGE, Bluetooth 1.2, IrDA. If your iPAQ motherboard has failed this is the correct replacement part. Suitable for the whole HP iPAQ hw6500 range including the hw6515 and hw6510. * Intel PXA270 Processor 312 MHz. * 128 MB Total Memory (64 MB ROM and 64 MB SDRAM). * Integrated SD and Mini SD Slots. * Integrated Quad Band GSM/GPRS/EDGE, Bluetooth 1.2, IrDA. * Integrated High Sensitivity GPS Receiver. * Microsoft Windows Mobile 2003 Second Edition Software, Phone Edition. If your mainboard is showing signs of processor damage or has memory issues or the GPS module has failed, then this is t..